I hope all of you have had wonderful and relaxing summers. I did! I had the pleasure of spending two weeks of my summer singing with the Westminster Choir College Summer Chamber Choir. 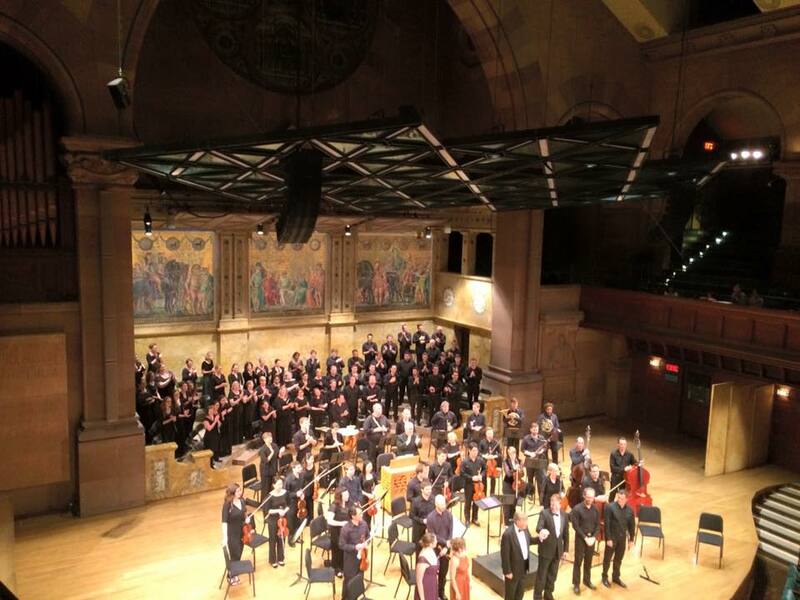 We performed in New York City and in Princeton, NJ. I also spent time visiting family, vacationing in Marblehead, and logging miles on my bike in the metro parks! I am looking forward to an awesome year at Learwood. Some things to highlight the year, our baby grand piano was refurbished over the summer! As we rehearse during the day, we get to rehearse now with what I consider a brand new instrument. Our 8th grade choirs this year will have the pleasure of working with composer Phillip Silvey as he is commissioning a brand new piece dedicated to Learwood Middle School. More details about this piece to come! We are also in the works for a Concert Choir to tour to Cincinnati, OH sometime in the spring. Again, details to come. Please use this website as a resource for all of you during the year. To the right is the running calendar. This will be kept up to date and will always have the correct locations etc. The home page acts as a running blog where you will receive email notifications every time I post! Speaking of posting…I will be posting your first assignment soon! I can’t wait to make music with all of you!